Copper is a traditional material that has never lost its appeal when it comes to preparing delicious meals. Copper cookware is used by professionals and amateurs alike due to the numerous advantages but also its undeniable aesthetics. These facts have inspired me to dedicate my time and effort and find out everything there is to know about copper cookware. During my research, I have realized that everyone should own at least one copper cooking element in the kitchen. If you have to choose only one piece of this bliss, I recommend you choose red copper pan as it is the most practical and multifunctional element. 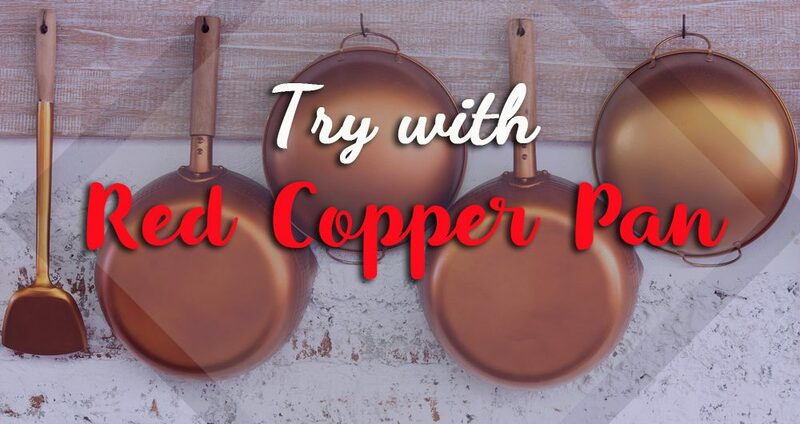 Do you want to know everything there is about copper and copper cookware, but also find out great recipes and dishes/ideas to try with the red copper pan? If yes, join me and continue reading all the way to the end. I guarantee lots of useful information! Aesthetics - Why is copper cookware so often displayed in the kitchen? Heat conduction and distribution - Why is copper cookware used by so many professionals? Health benefits - Why is copper cookware recommended by many health professionals? 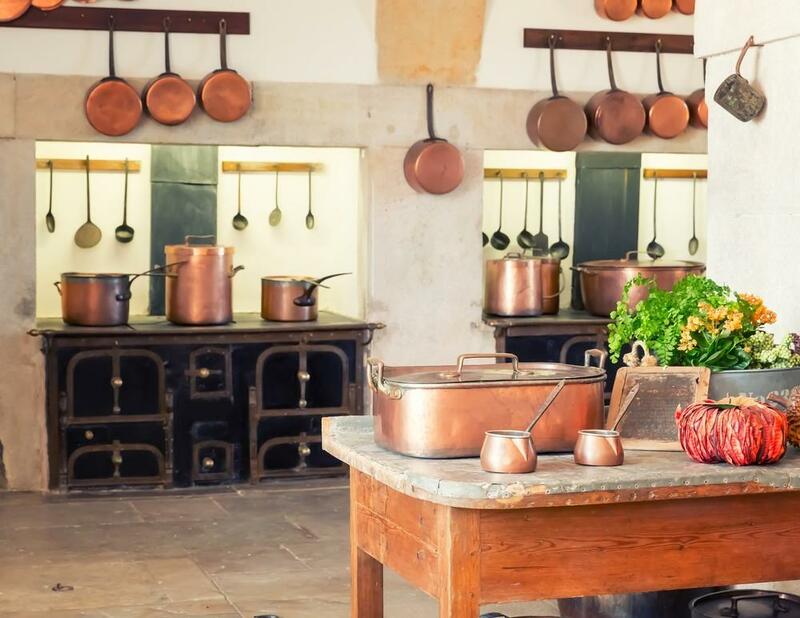 Cleaning and maintenance - Why do experienced housewives opt for copper cookware? Optimal weight - Why is balance important? Why buy a red copper pan? How to choose the best red copper pan for your personal needs? Before I move on to copper cookware, I should first answer the question what copper is. This so-called "red metal" is extremely electrically and heat conductive metal element. It is widely appreciated and admired for its aesthetically appealing red color which is rather prone to oxidization that turns it into a green patina rather quickly. This metal is used in telecommunications, art, and architecture, but also for electrical motors and generators, wires, electronic goods, in radiators and air conditioners, computer circuit boards, and, of course, for kitchen utensils and cookware. 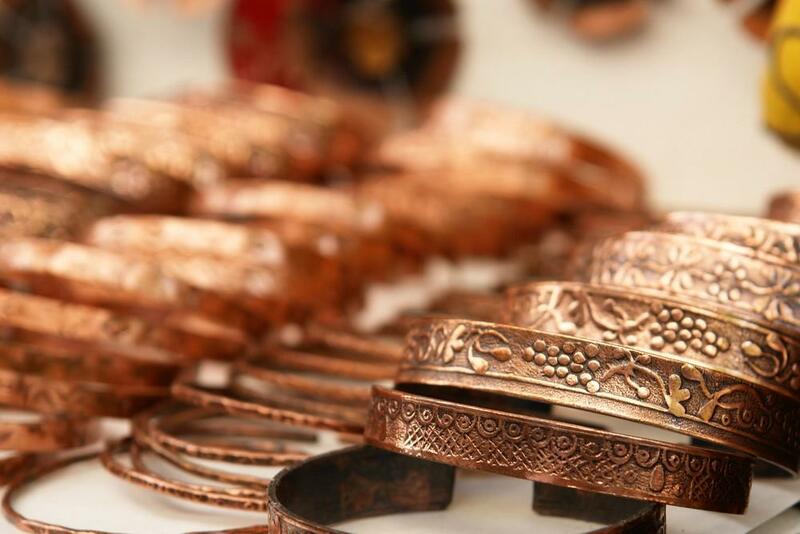 Copper is a weak metal which is easily formed by hand but cannot be easily broken as it is rather though. Its great heat conductor and thus ideal for cookware as it speeds up the food preparation by drawing the heat to food rather quickly. Copper is mined or rather extracted from ore which is rich in copper sulfides. It is also recyclable. I have already mentioned some features and benefits of copper that make it ideal for kitchen utensils and cookware material. But there are much more reasons to own and use copper cookware when you prepare delicious meals for your loved ones. I will try to inform you of all the things that make copper cookware so desirable for home-cooks and professionals alike. After all, copper cookware has remained popular for centuries due to its timeless qualities and deserves to be appreciated. Why is copper cookware so often displayed in the kitchen? 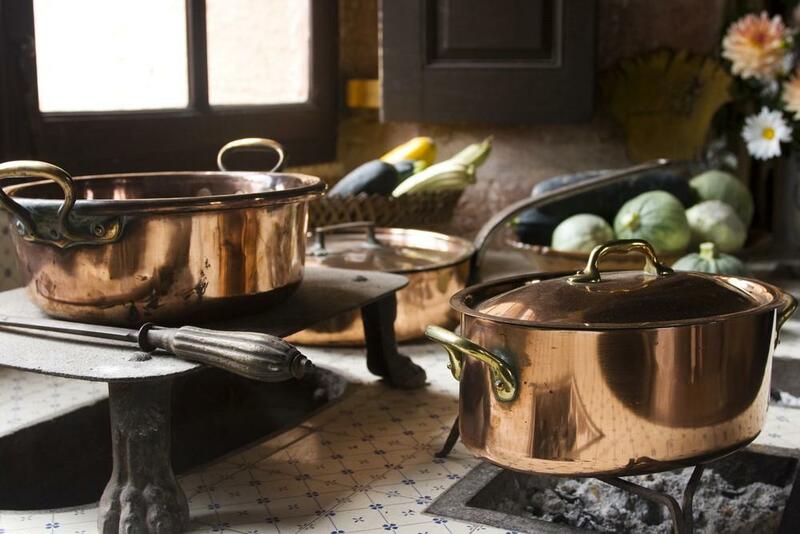 As we have already seen, many centuries ago copper has been used for jewelry, so it should not surprise us that copper cookware is renowned for its beauty and aesthetic appeal. The brownish golden color and sleek and shimmery finish attract many who are willing to pay the pretty high price just to own copper cookware and display it in their kitchen. Copper stands for class, and therefore your kitchen is sure to look classier too as soon as you hang your copper elements and display them for everyone to see. It would be pretty sad to store these beauties away and let them collect dust in a cupboard. On the contrary, you should polish your copper cookware regularly and treat them as art pieces. Why is copper cookware used by so many professionals? I have also previously mentioned the fact that copper is a metal element which has very high heat conductivity. This means that copper can transfer heat very quickly. When you cook food in copper cookware, the great heat conductivity will allow for even heat distribution and more quick preparation. It also allows for better adaption to sudden temperature changes. Due to these qualities, there is never the need to use copper cookware with very high temperatures, quite oppositely- you should always set the temperature on medium or low. In the end, this will reflect on your electric bill and save you a lot of money. Why is copper cookware recommended by many health professionals? Surely, most of you ladies would first like to know the fact that copper can aid you in losing weight. When you use copper cookware to prepare your everyday meals, the food you prepare becomes infused with copper as well. Moreover, when you eat such food rich in copper the fat cells in your body will start to break down more rapidly, and thus your body will be able to eliminate the extra fat. All this will result in you looking slimmer and feeling much more satisfied with your body. 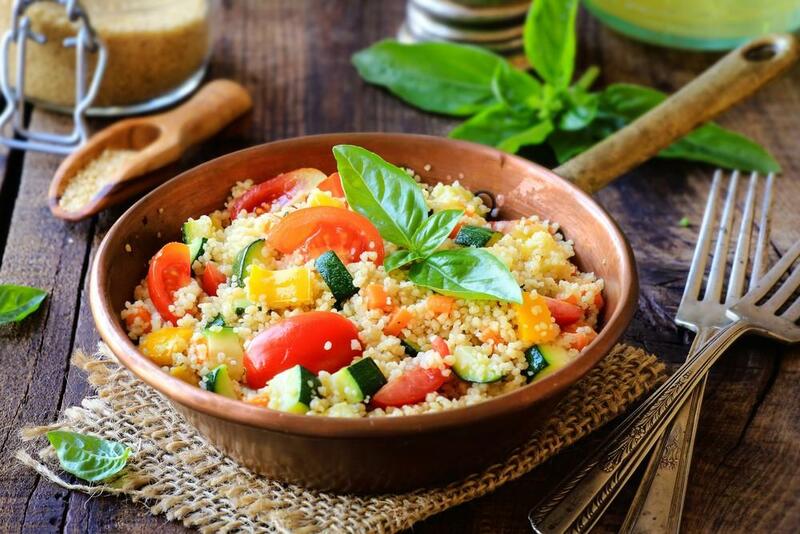 Of course, you will have to establish some other healthy habits for maximum results, but copper is sure to contribute to your healthy eating habits and thus a healthy weight as well. Copper which is infused in your food will also speed up your digestion and thus help you avoid constipation, but also reduce the acidity and detox your stomach. There will be less harmful waste in your body, and therefore you will be healthier overall. If you often leave food you prepare to sit long in the pot or pan, you risk your family’s health. Namely, such practice will allow for the health-threatening microorganism to develop in your food and endanger your well-being. However, If you use copper cookware, you will avoid such a risk altogether. Namely, copper has natural anti-bacterial properties which do not allow these microorganisms to survive for very long. To be more precise, so that you have a clear picture of just how dangerous bacteria we are talking about, I will just mention two most widely spread bacteria that can be found in such circumstances- Escherichia Coli and Salmonella. You probably know how dangerous these microbes can be! 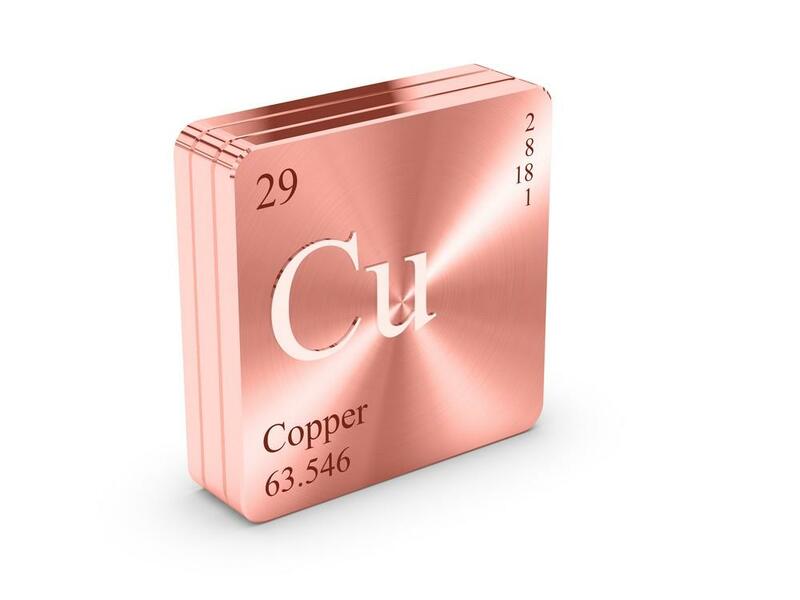 Copper is an essential mineral that our body needs so that it can function normally on an everyday basis. Our body does not produce it though so we have to acquire it as a supplement or through our food. Why do experienced housewives opt for copper cookware? Although many think that cleaning copper is a hard and tedious task, it really is not so. You do have to clean the copper cookware regularly and perform regular maintenance, and occasional polishing as to preserve the golden glow and avoid corrosion, but it is not as demanding as many believe. Actually, compared to some other kinds of cookware, copper cleans a lot easier and is thus very popular among many housewives. First of all, make sure not to use your copper cookware to cook at a very high temperature as that may cause not only the burning of your food but also a permanent color change of your precious cookware. Next, make sure to clean your copper cookware immediately after you finish preparing your meals, as that will make it a lot easier, but also help you avoid having to scrub the cookware too hard and thus risk scratching the copper surface. It is always better to soak the copper cookware and leave it that way for some time, than trying to remove the scorched food by using abrasive sponges or by scrubbing them. Copper is a soft metal that can be scratched rather easily, so I advise using the soft side of the sponge only. Besides washing your copper cookware, you might want to polish it from time to time too as to restore the beautiful shimmer that makes this kind of cookware so alluring in the first place. In order to do that, you can purchase specialized polishing chemicals, but I recommend that you stick to the natural approach since it will provide quite satisfying results as well- without breaking your bank. You will need a few lemons, some vinegar, and salt or a bit of tomato juice. I am sure you have all of that at your home. The process is also very easy- rub the pots and pans with lemon and sprinkle the salt on top of that, or mix vinegar/tomato juice with some salt and apply onto the sides. Leave it for about half an hour and then wash the cookware in soapy water. There should be shiny as new! Finally, never wash your copper cookware in a dishwasher as that may damage it or shorten its lifespan. Do not use strong detergents or bleach. 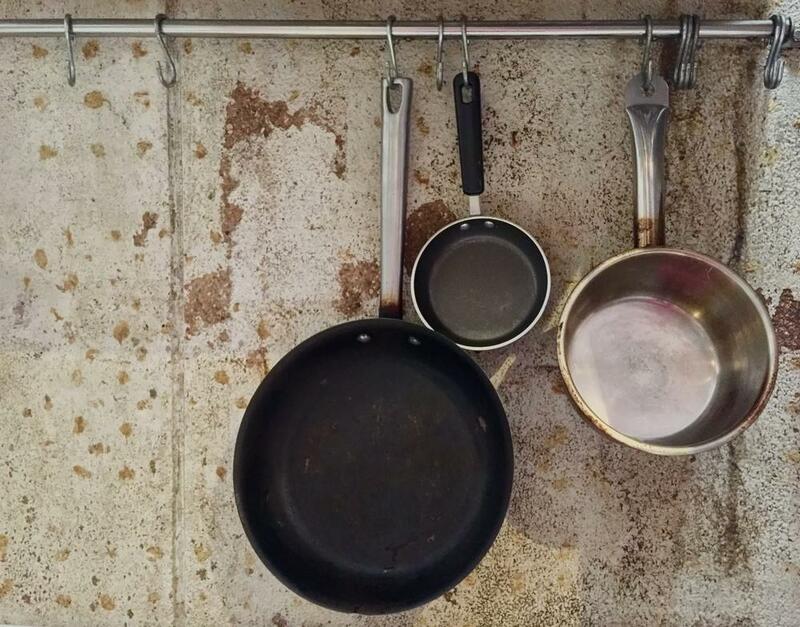 Make sure that your cookware is completely dry before you store it- every forgotten water drop can leave a permanent stain or discoloration ruining the look of your expensive elements! Copper cookware is neither too heavy nor too light! In fact, it is perfectly balanced! It is heavy enough to be sturdy, durable and conduct heat much better than other types of pots and pans. Thick copper walls preserve heat rather well, and your meal will stay warm for longer as a result. Although there are much more advantages when it comes to using copper cookware- nothing is completely perfect! I have mentioned some drawbacks of using copper cookware such as a bit time-consuming cleaning and maintenance, but also the fact that you cannot wash it in a dishwasher. I should also mention the fact that most copper cookware cannot be used with induction stoves due to poor interaction with magnets. The greatest disadvantage though, in my humble opinion, is the chemical reaction that takes place when you cook certain food which is overly acidic or alkaline such as tomato juice, for example. And as always there is a question of price, and copper cookware is never cheap- but it is almost always worth the cost! When you are an experienced house-wife, you already have a pretty good idea what you need to have around in your kitchen to make it fully functional. However, there are many young, inexperienced women out there who would certainly appreciate a little bit of help in this area. This is why I have comprised a detailed list of all the possible element in a copper cookware set and gave a short explanation that will help you determine whether you need it in your kitchen or not. 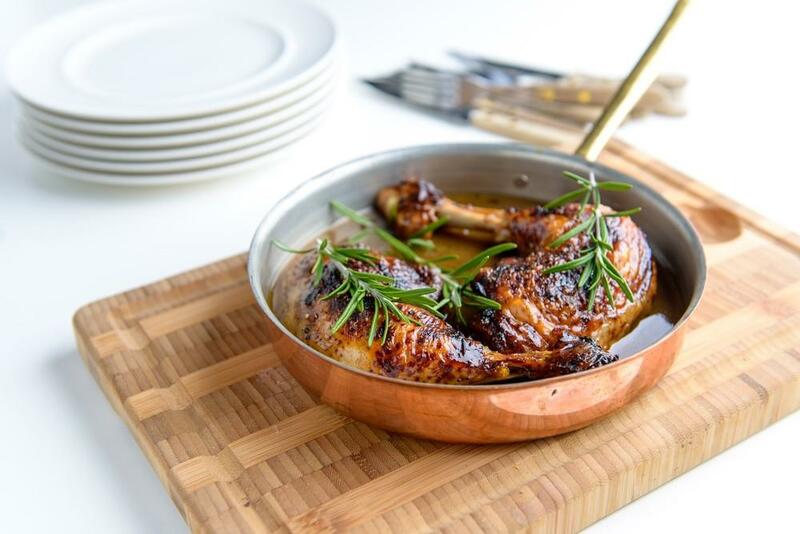 Copper cookware sets can include a great variety of elements- from the basic ones such as stock pots or skillets to the more specialized ones like a grill pan. All the elements are functional, there is no doubt, but you are the one that ultimately decides which ones you want to have in your kitchen. 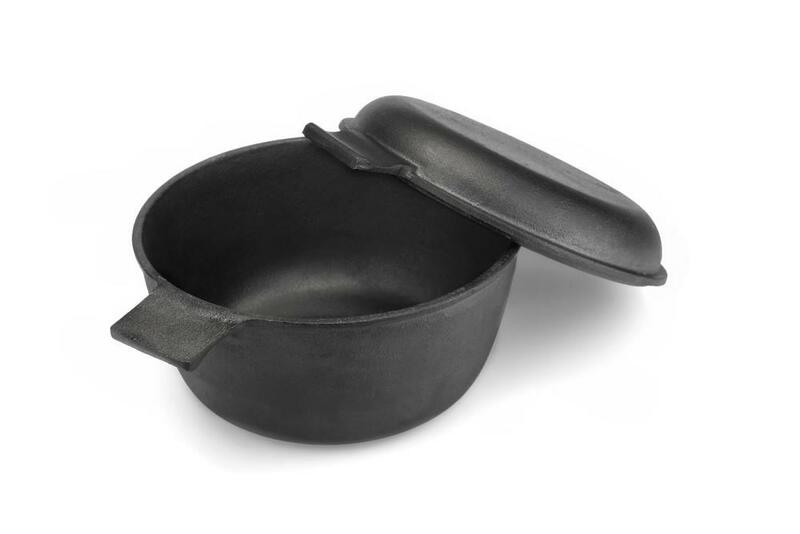 Skillets feature slanted sides and are thus ideal for expedient meal preparation and stir-frying. They are also great for serving food directly out of them. 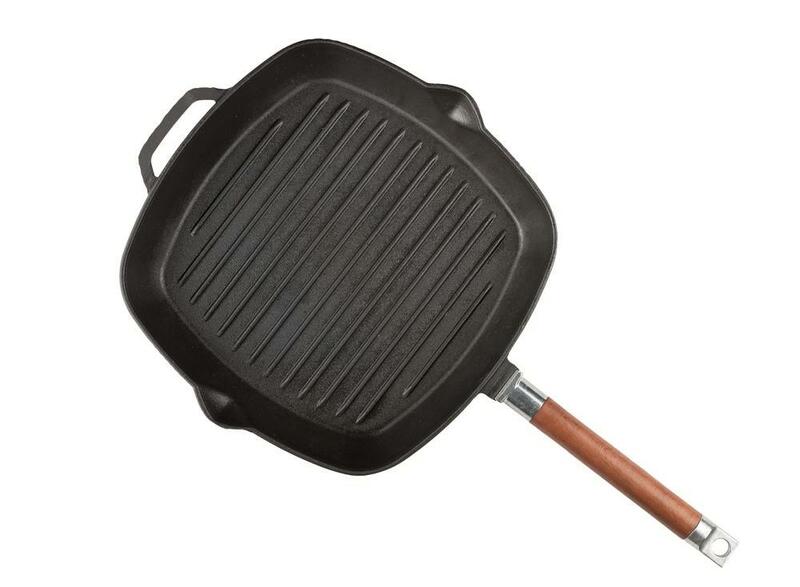 Most copper skillets are oven safe as well Skillet is probably found in every kitchen worldwide. It is definitely one of the most used elements of any cookware set. There are different sizes to choose from in accordance with the number of family members you intend to cook for on a daily basis allowing you to bake in them as well which makes them multifunctional. A Dutch oven is an essential element if you like to prepare slow-cooked specialties that will melt in your mouth while you eat them. This is due to its great heat conduction properties. You just have to add a bit of water or some other liquid and as soon as it reaches a simmer, reduce the heat and let it all cook to perfection. You can prepare soups this way too. A Dutch oven should come with a lid that prevents evaporation of the liquid. In this way, the generated steam remains locked in, and your food does not lose too much moisture. Besides delivering a perfect crispy roast, the copper Dutch oven can also be used for deep-frying. Saucepans, as the name suggests, serves to cook sauces for your spaghetti, pasta or barbecue, but also pasta, rice, sauté and numerous other dishes. It is great for reheating food as well. Numerous different sizes allow you to choose the one that will best fit your personal needs. When they are made from copper, they are especially appealing and popular as copper ones offer all the above-mentioned benefits. 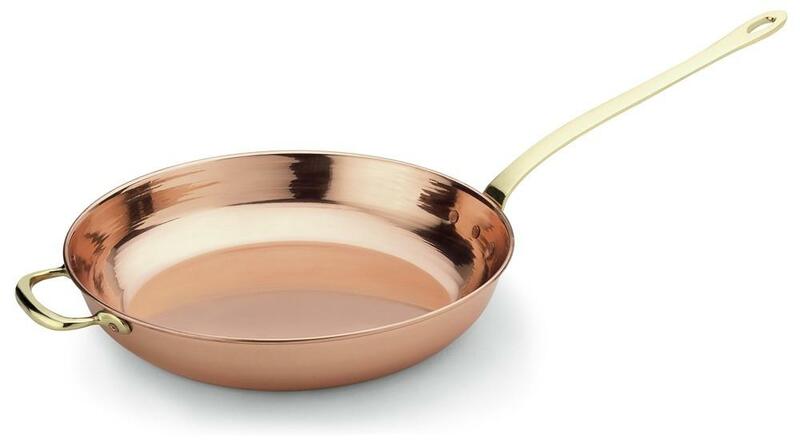 Copper pans are rather light, but also more durable than most other types of pans made from different material. Its beauty allows you to serve food directly from it, even when you have an elegant dinner with your guests. If you opt for models with brass or iron handles, you will be able to use it in the oven too. A stock pot as you can assume serves to make stock which is actually a base for yummy soups or sauces. Copper stock pot will heat fast, distribute the heat evenly and allow the content to simmer. It is a rather multifunctional element that will surely be useful in any kitchen. Standardly, copper stockpots feature a vented lid that will prevent over boiling and thus keep your stove top surface clean. It can also have handles that are oven safe but do check if that is true before you put yours in the oven. Sizes vary from 4-qt. pot ideal for soups to 14-qt. ones you can boil a whole lobster in. 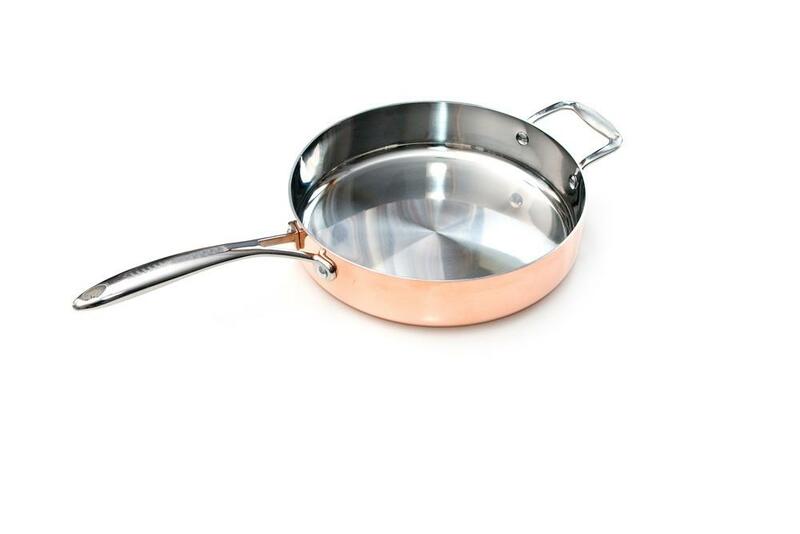 A Sauté pan, when made from copper, is a great choice to prepare or sauté chicken, but also different meats and veggies. The long handle and wide and flat surface are ideal for tossing food over high heats. You should choose the 4-qt. size. A roaster might be too big for preparing everyday meals for an average-sized family. However, during holidays, or any other time of the year when you have a lot of guest coming to celebrate with you and have a delicious lunch or dinner- a roaster becomes a must! When you have a copper roaster, you can prepare great roasted meats and poultry, but also fish and vegetables. A griddle pan made from copper distributes heat evenly and thus delivers delicious sandwiches, pancakes, and ham and eggs for your breakfast. Smooth surface will prevent the food sticking. 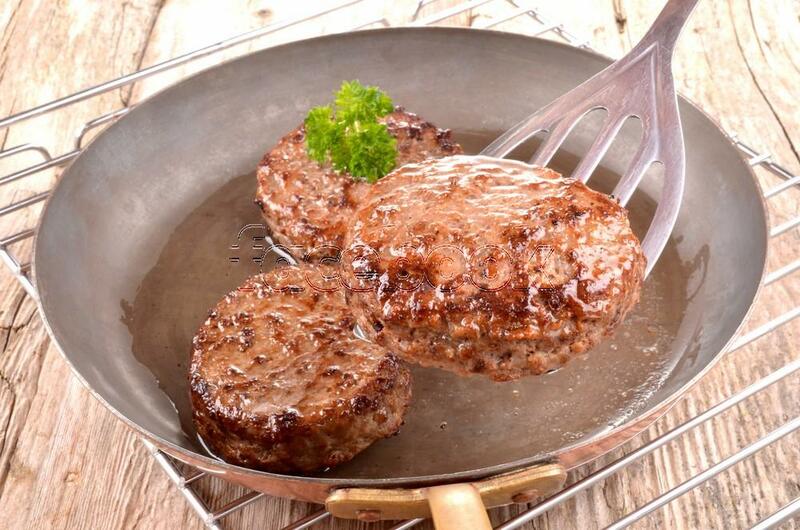 A grill pan is a great substitute for barbecue so that you can enjoy mouth-watering burgers and stakes in the comfort of your home. It will also help you stay healthy and fit as high ridges will to drain away all the excessive fat. Copper grill pans usually have a non-stick interior for even less troublesome grilling. A steamer is always useful, especially for those who plan to stay healthy and good looking for years to come. A copper steamer enables you to steam all kinds of food without it losing its valuable nutrients or flavor. Food prepared in this manner will have fewer calories as well, especially in comparison to fried food. Almost all food can be steamed- so your imagination and creativity are your only limits in creating vividly colored, healthy meals. Salt and pepper set plated with copper will add class to your table but also last very long. The tea kettle made from copper will boil very fast and look very elegant while you serve the tea to your guests. Beating bowl made from copper is excellent for whipping egg whites, and therefore many professionals worldwide use it for this purpose. The egg whites react with copper, which in turn triples the volume of the egg whites and makes them more stable. Whisk made from copper helps make the egg whites more voluminous as well. In this way, the foam lasts longer, especially when you use both the copper bowl and a whisk. Fondue copper pot usually features a copper bottom and a porcelain insert- this greatly reduces the chance that your cheese or chocolate will get burnt by keeping the temperature at the optimal level and very stable. If you cannot afford the whole set of copper cookware or do not wish to buy it for any other reason, you should at least own a red copper pan. Every household should have one in fact. Why? Well, if not for all the reasons already listed that speak in favor of copper cookware in general, then for its multifunctionality and all the great dishes you can make with it. 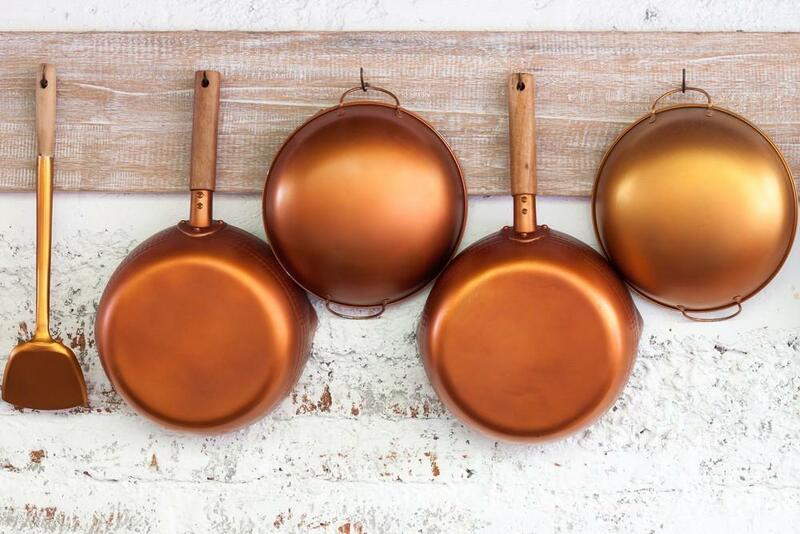 Most of the modern red copper pans come with a non-stick layer on the inside. Even when they do not, the inside is not particularly sticky, quite the opposite- you will have a healthy alternative to the poisonous Teflon! What are you going to use it for? If you plan to use it for pancakes, maybe you should opt for the one with the non-stick layer. If not, stick to the healthier alternatives such the one combined with stainless steel. How frequently are you going to use it? If your copper pan is not intended for everyday professional use, but rather an occasional cooking at your home, you do not have to spend a fortune on the most expensive one. A bit less thick sides or bottom should not make a great difference when you do not overuse your copper pan. How many people do you intend to feed at once? Do you plan to cook for a large family or not? If yes, you must opt for a larger pan. If not, the smallest diameter will do the job. However, it is always better to be prepared- you never know when friends and family are going to stop in for lunch or dinner. What kind of lining do you prefer? As we have already mentioned, there are different options to choose from when it comes to copper pans. As we also discussed, the most common lining is made either of Teflon or stainless steel. Tin-lined pans are also very popular but a bit more demanding for maintenance and cannot stand too much abuse. On the other hand, the tin lining is more traditional and an excellent surface to cook on. We have finally come to the most interesting and important issue that will inform you on how to properly use your red copper pan and prepare delicious, quick and easy dishes you and your family and friends will surely enjoy! Never overheat your red copper pan! This might damage the copper surface and make it unrepairable. Cook slowly! Cooking is not a competition or a race- the more time and effort you invest, the better and tastier will the food you cook be! Copper cookware does not create hot spots, it distributes heat evenly and allows your food to cook well inside out- just give it enough time. Choose proper utensils! In short, the wisest choice you can make would be wood, but silicone utensils will be a good option as well! Avoid metal ones as they can scratch the inner surface and permanently damage the inner lining. It is best to opt for wooden or silicone kitchen utensils to preserve the sensitive inner lining from scratches. Prepare all the ingredients ahead of time! This might sound trivial, but copper heats up rather quickly, and if you are not ready to add all the ingredients in a timely manner you might mess up or burn your dish. Basil, black pepper, and crushed tomatoes. Cover the pan with its lid and continue cooking until the mussels open up. Fill the pan with water half way up, add some sea salt and let it boil. Put the beans in and cook until they become tender. Mix the vinegar, pesto and olive oil in a separate bowl and add the warm beans. Toss and serve. Preheat your red copper pan for about two minutes on the medium temperature setting. Lay the pork chops into it and let them cook for around five minutes before you turn hem on the other side. After the other side is done, your chops are ready to be served! to cook until it becomes creamy and the macaroni is done. Serve warm. Make sure that your red copper pan is oven-safe. If it is, p­reheat oven to 400 degrees. Lay the filets in the pan, season them to your liking, and cook each side for about five minutes on your stove top. Next, move the pan into the oven and bake filets for ten more minutes. Finally, serve them after you have allowed about ten minutes more for them to sit. Preheat the oil in your red copper pan (to around 375 degrees F). and dredge the chicken into the flour mixture. Slowly place the battered chicken into the oil and let it fry until it becomes golden brown. Place the fried chicken on a kitchen towel to drain off any excess oil. That’s all! Crack the eggs into a bowl and season them to your taste. Continue whisking until the foam becomes smooth. over a medium heat and put in the oil, diced onions, and potatoes. After a few minutes pour in the egg mixture, c cheese, and peppers. First, make the tempura batter in a separate bowl and keep refrigerated until serving. Mix all the dry ingredients well, and add the club soda and one beaten egg. Mix and stir until smooth. Next, heat the oil in the red copper pan (to 375 degrees F). Dredge the shrimp in cornstarch, and then dip them into the Tempura batter. Lower the battered shrimps into the pre-heated oil holding them by the tail. Wait until the shrimp are golden brown, take them out, and then repeat the process until all the shrimp are fried. Finally, serve the shrimps with pineapple, onion, and pepper. You can add them on top of the cooked rice. Preheat the red copper pan for two minutes. Next, add some olive oil and then the meat. When the meat is done, add the onions and garlic and sauté for a few minutes. As soon as you add all the remaining ingredients reduce the heat to a simmer, cover with the lid and leave it to cook for ten minutes. I hope that you have satisfied your curiosity in regards to the copper pans. Copper cookware is a great investment if you can afford it. If not you can always buy at least one copper element! If you have some comments or suggestions, feel free to leave them.